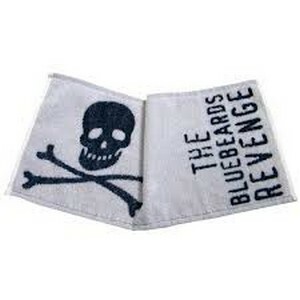 The newest addition to The Bluebeards Revenge family is this luxury shaving/hand towel. Made with 100% cotton (even real men love a soft touch on their masculine skin), this towel features the iconic Bluebeards Revenge logo. Before wet shaving, soak the towel in warm water, rinse excess water from the towel and then apply to the face for 2 minutes (please do not fall asleep). This process helps to open the facial pores and also softens the beard. The Bluebeards Revenge warns that using this shaving towel along with its other shaving products will ensure the user has the ultimate shaving experience.